A cupcake never failed to put a smile on my face or to brighten up a gloomy day for me. Cupcakes like chocolates have that magic working with them. Being a baker myself, I am quite choosy when it comes to cakes or cupcakes. 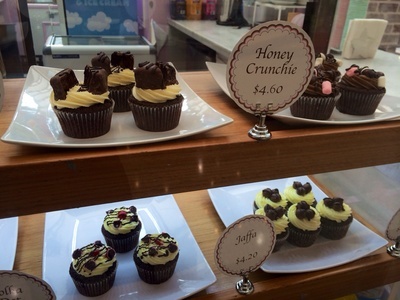 If I am not baking, I wouldn't go to just any place for my cupcake fix. 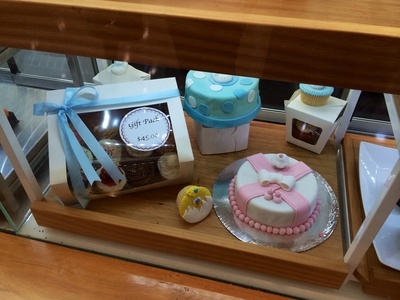 The Cupcake Cafe at Castle Towers is one place that I do go to, and it sure is one of those rare places that gets my tick of approval for the delicious, eye catching creations they come up with. 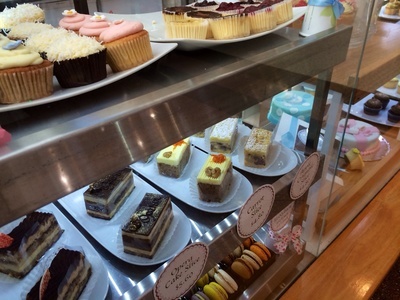 My visits to the Cupcake Cafe in the Towers don't just revolve around my own cravings for cupcakes. I have always believed that a well presented box of cupcakes to be a very thoughtful gift when visiting someone's home, or even when going to see a patient in hospital. Certainly not when you're going to see someone who isn't allowed to consume sugar; and certainly not for someone who cannot eat at all - but a box full of cupcakes does send a message of love and care. For me, the cupcake deals at the Cupcake Cafe are attractive just for this purpose. 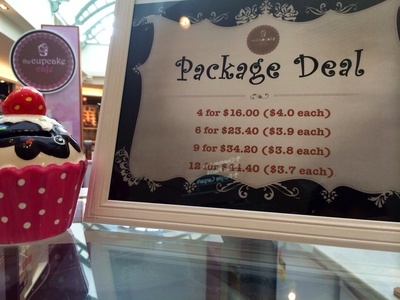 For $44.40, you can get 12 cupcakes well presented in a cupcake box. With a box full of cupcakes in hand, you are sure to be most welcomed at anyone's home. Those cupcakes at the cafe are not overly large. Most of them are uniformed and baked in medium sized pans, which makes it ideal for a guiltless single serve. The ever so popular red velvet cupcake most certainly is a worthy contender for my most favourite choice of flavour at the Cupcake Cafe. The soft moistness of the red velvet combined together with that heavenly cream cheese frosting is one that should not go un-noticed. The honey crunch ($4.60) comes pretty close to the red velvet in taste and presentation to winning the first place. How could I not mention the Jaffa. The Jaffa flavoured cupcake ($4.20) truly is a small dynamite of sweetness. 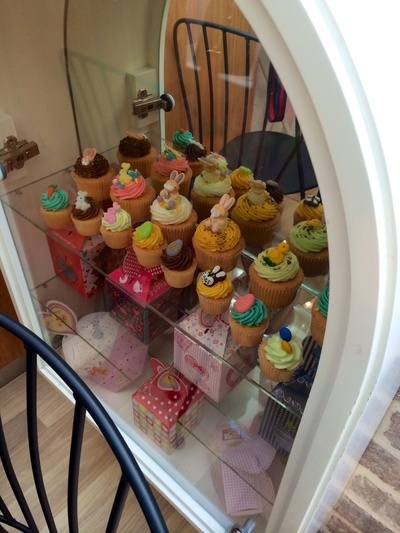 These and other amazing flavours have made me a regular at the Cupcake Cafe. My only wish for the Cupcake Cafe is that may they be able to open a more spacious proper cafe, where the customer wouldn't be so much in the open where just anyone is able to stare at them as if counting every bite of cupcake they take. Where: Kiosk 479K Castle Towers, 6-14 Old Castle Hill Road Castle Hill NSW. Why: Delicious and eye pleasing cupcakes. 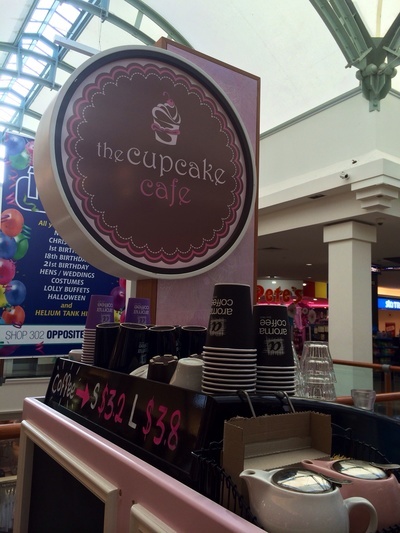 Cost: Starting at $3.70 a cupcake. Good for kids: Of course. What spices do you regularly use in your cooking? Did you have a sweet sixteen party? What is the best fancy dress party you have been to?